Make amazingly detailed fondant cakes and other sweet treats using the Lace Fondant and Gum Paste Mould. Make graceful lace-inspired scrolls, flowers..... with easy-to-use silicone Moulds. Make amazingly detailed fondant cakes and other sweet treats using the Lace Fondant and Gum Paste Mould. Form graceful lace-inspired scrolls, flowers, leaves, medallions and trims with easy-to-use silicone Moulds. Flexible silicone Mould makes it easy to form and release the decorations for fabulous fondant accents every time. Ornate fondant cakes are easy to make with this lace-inspired flexible silicone Mould. Before first and after each use, wash in warm, soapy water or place in top rack of dishwasher. Dry Mould thoroughly before using. 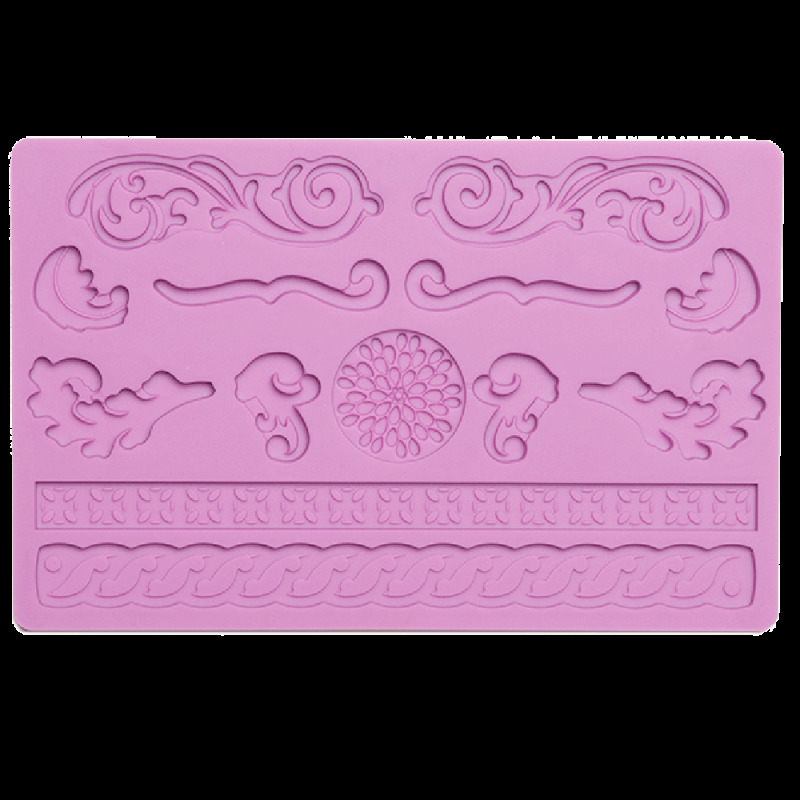 Whether you choose to make individual decorations for cupcakes or other sweet treats or create an entire lace-inspired confection, the silicone Mould is perfect for making fondant or gum paste decorations. It's so easy to use the silicone Moulds to make a themed cake. Just press or roll fondant into the cavities, level the decorations, then turn the Mould over and bend slightly to release them. Whether you choose to follow the project instructions for arranging the decorations or you let them dry to place them later, these decorations will take your cake design to a whole new level. Prevent sticking by dusting Mould cavities with cornstarch or rubbing on a thin layer of shortening.